The larger 27" size is perfect for skaters that like a little extra stability. 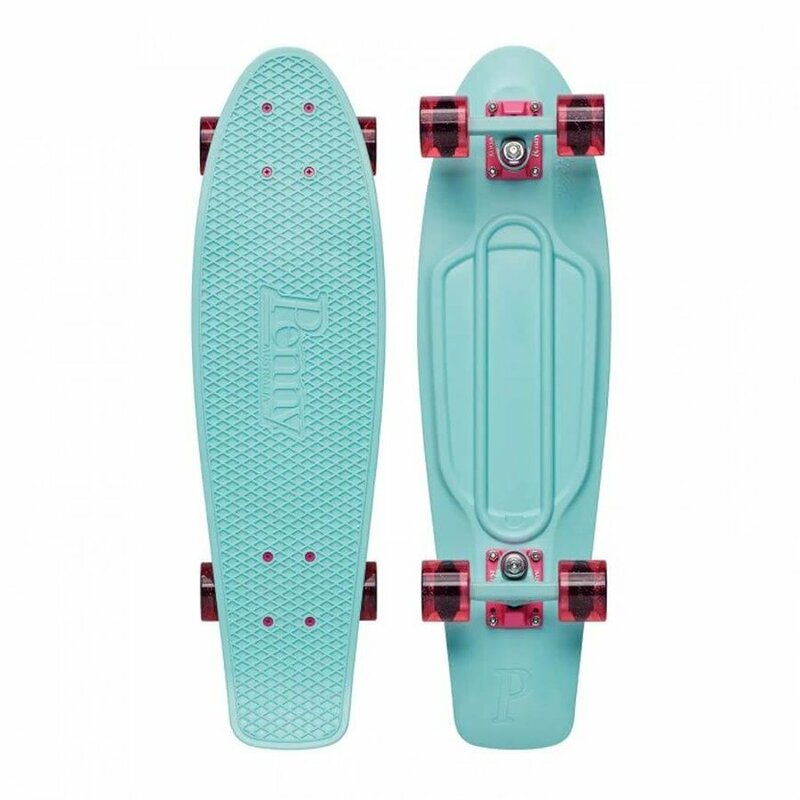 Trucks and Cushions: Trucks with light blue hangers and pink baseplates complete the theme of this Penny 27" board. The high-quality aluminium construction of Penny trucks keeps your ride light and strong, while the cushions make sure you're ready to carve. Tighten them or loosen them to suit your riding style. 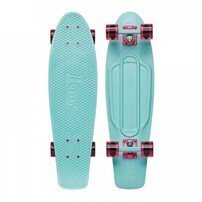 Bolts: The 27" Pegasus features pink high tensile deck bolts.